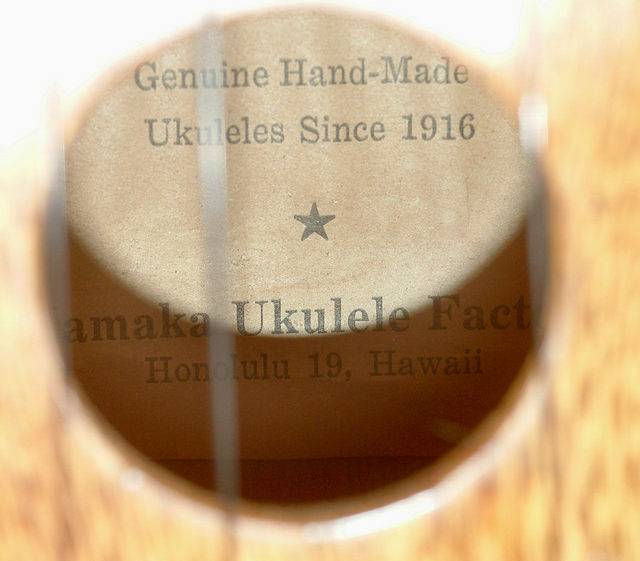 One of the best ways to date your Kamaka (if the date stamp is gone) is by the label and headstock logo. Here are the different interior labels, and their dates. I am missing some of them, and some of these are not that great or clear. If you have any better photos feel free to email them to me. Thanks! 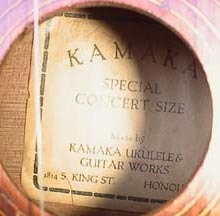 I’ve been trying to find out exactly when the first Concert size ukulele were made. By the font of this label, I would assume this Concert was made in the 1920’s. Also, it may not have been a regular model at this time, as they specifically mentioned that it was a “Special Concert Size”. 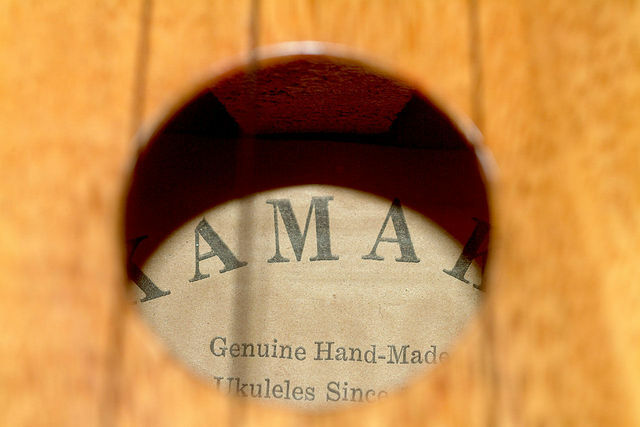 Special Label used by Sam Kamaka Jr on ukulele that he personally made. This one is dated May 1, 1969. 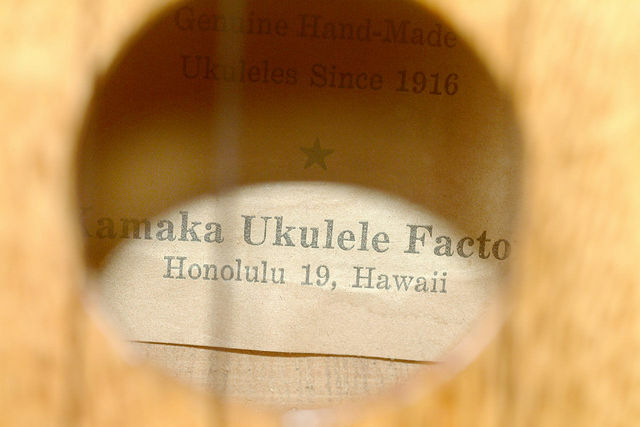 This entry was posted on June 10, 2011 at 9:21 pm and is filed under Dating Your Kamaka Ukulele, History. You can follow any responses to this entry through the RSS 2.0 feed. You can leave a response, or trackback from your own site. 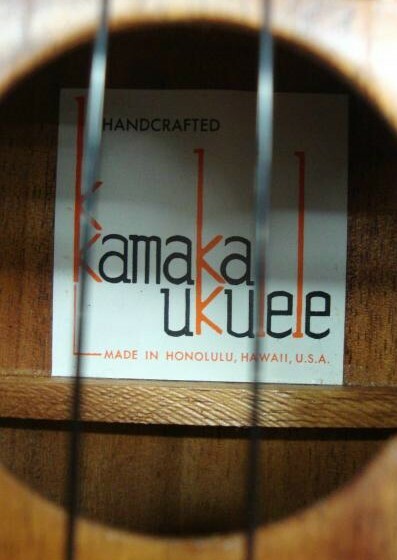 I just found this out tonight when trying to date my own Kamaka uke, so with the white label and the double K on the headstock, my uke was made anywhere from 1969 to probably mid 70’s since this was my Uncle’s uke and he passed on in the 70s. I will have to use your site to check my kamaka. It was my grandfathers and I am trying to learn to play now after his passing 20+ years ago. Great site! 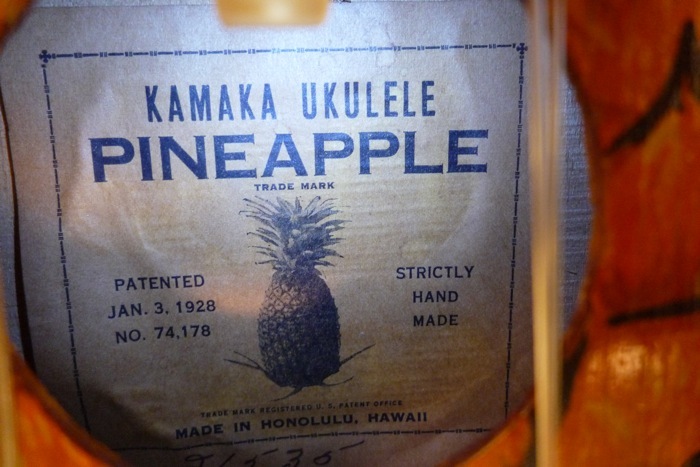 I am not an expert but believe this is early 70’a label which is not in this list, please help to clarify. I have one with a similar label. 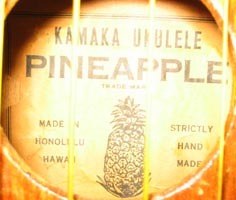 It was purchased by my mother in 1967 when she was living in Hawaii, and I have no reason to doubt it’s authenticity. 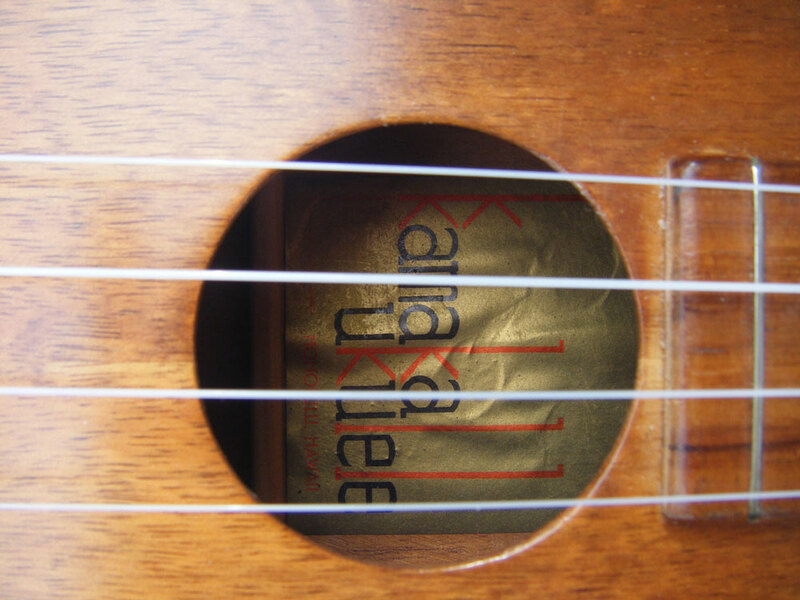 The quality of the gluing seems slapdash, the body is mahogany and the fretboard & bridge are koa, but again seem poor quality. 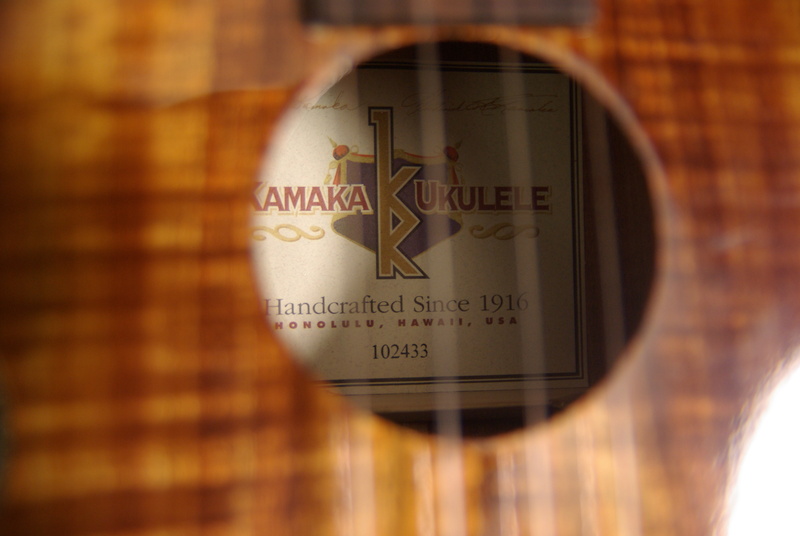 Three pearl dot inlays on the side. 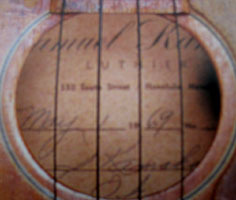 There is a small booklet included listing model numbers and the story of the company. Other sites say that the body is stamped with a date, but I can’t find one. 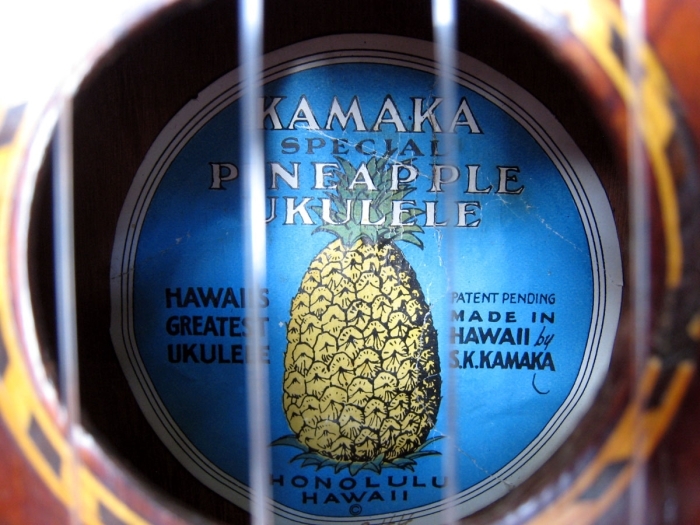 I have a ukulele with gold label with red and black lettering and the double K on the head.But the wood is more mahogany color body with a darker brown fret board, it has three pearl dots on the fret board and bridge,can you give me info to identify what I have? If you can send photos I may be able to help. 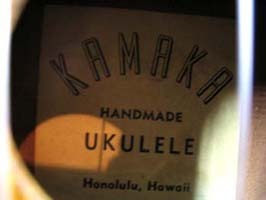 I have seen a few Mahogany Kamaka’s. 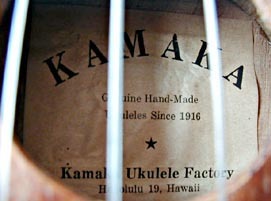 I have a white lable Sop Kamaka without the KK on the headstock is this unusual? I have a white label that is not shown here. 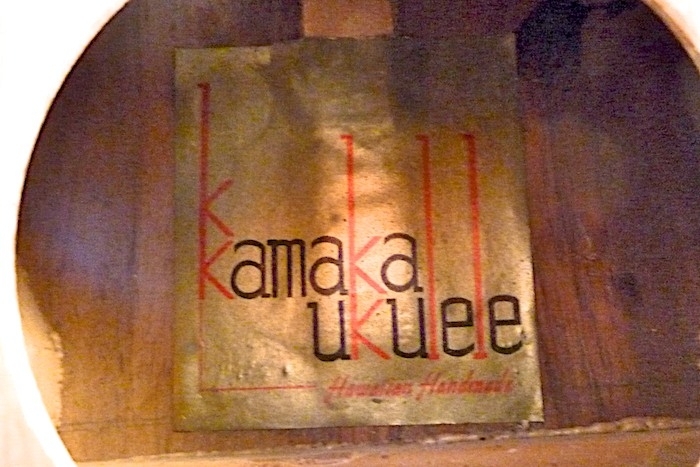 Instead of Kamaka’s Ukulele it says Kamaka’s Pineapple on top line with ukulele underneath. 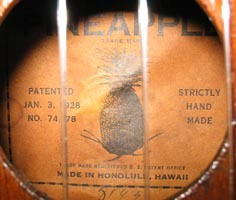 Patent date to the left 1814 s. King Honolulu below. #6866. Can you shed any light on its age? I’m assuming late 20’s with the font. Nice catch! I’ll have to do some more research on that one. Thanks for the insight!